The collections at Christ Church Picture Gallery are founded on the major bequest of old master paintings and drawings from the 18th century military figure, General John Guise. This includes an impressive group of drawings by Leonardo and many by his close pupils and followers. The exhibition Leonardo and Milan: Drawings from the Guise Collection will look at Leonardo’s artistic achievements and practice. The exhibition is part of a larger itinerary around Oxford, entitled Leonardo and Oxford: Discovering the World of Leonardo in Oxford’s collections. 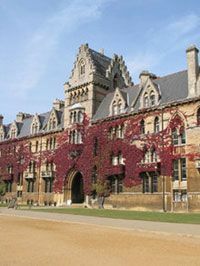 Other Oxford museums participating in the itinerary are The Ashmolean Museum, Magdalen College, The Museum of the History of Science and The University of Oxford Botanic Garden.